Though Wednesday marks the five-year anniversary of Tim Cook officially taking reins at Apple, he actually oversaw the company's day-to-day operations well before he was named CEO, and during some of its most difficult days. Cook, Jobs & Schiller in 2009 | Source: Getty Images. Late Apple co-founder Steve Jobs resigned as CEO on Aug. 24, 2011, making Wednesday the official five-year mark for Cook's tenure. 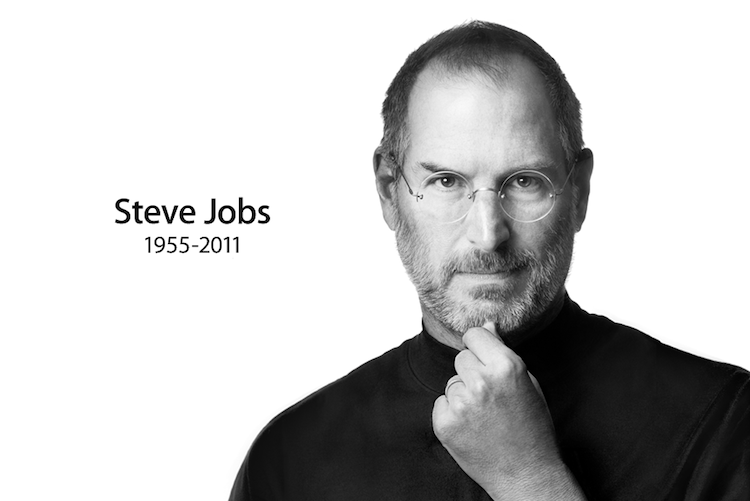 Jobs was forced to step down because of health complications, and the legendary tech titan would pass away just a few weeks later, on Oct. 5, 2011. But while Cook's fifth anniversary as CEO is a milestone worth noting, it's also not fully representative of the leadership role he assumed at the company, particularly as he was prepped for the CEO role in the years prior. Though it wasn't a permanent, official distinction, Cook first took over Apple's daily operations in January of 2009, when complications from pancreatic cancer forced Jobs to take a leave of absence. 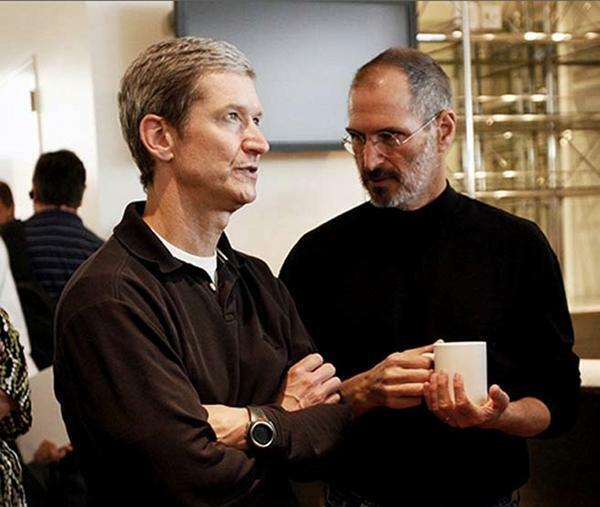 At the time, Cook was Apple's chief operating officer. Jobs was intensely secretive about his health, which made the ascension of Cook a surprise. Cook's six-month tenure in 2009 as de facto CEO came at an incredibly crucial time for the company, as he oversaw the launch of the iPhone 3GS. At the time, the iPhone 3GS proved to be Apple's most successful handset to date, during a period when the company's continued success in the rapidly changing smartphone industry was no guarantee. On its launch weekend beginning June 19, 2009, the iPhone 3GS went on to sell over 1 million units. The corresponding iOS 3.0 software update, then known as iPhone 3.0, was also downloaded by more than 6 million customers. That same week, Jobs was spotted back on Apple's campus in Cupertino, returning to a more hands-on role at his company following his liver transplant. Jobs's return was made official at a music-related media keynote held in September of 2009, when the legendary presenter took to the stage in San Francisco, announcing a new iPod nano and iPod touch, as well as a 160-gigabyte iPod classic. 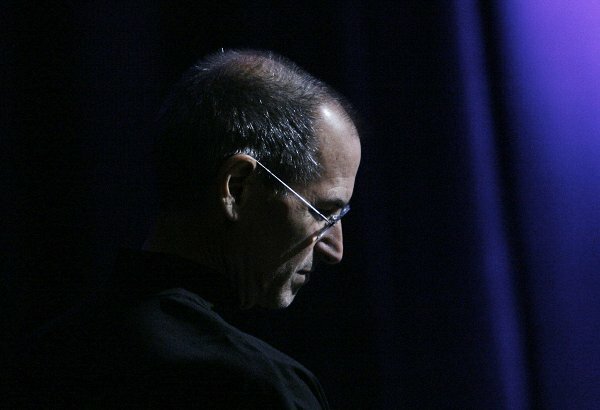 The appearance of Jobs onstage led to a standing ovation that lasted 45 seconds. But Jobs was quick to point out that it was his handpicked team at Apple who successfully carried on operations during his absence. The one employee Jobs singled out while onstage that day? Tim Cook. Born and raised in Alabama, Cook attended Auburn University, where he earned a Bachelor's degree in Industrial Engineering. He then went to business school at Duke University, receiving his M.B.A. in 1988. Cook came to Apple in 1998 after a short stint at Compaq, but the bulk of his experience, which Jobs has called a "rare combination," comes from the 12 years he spent at IBM, where he served as director of North American fulfillment. Jobs hired Cook from relative obscurity, after reportedly being impressed by his "unflappable demeanor," according to a recruiter present at an early meeting between the two. That meeting was described by Cook as a monumental, life changing opportunity. "My most significant discovery so far in my life was the result of one single decision —my decision to join Apple," he said during a speech at his alma mater in 2010. "Working at Apple was never in any plan that I outlined for myself, but was without a doubt the best decision that I ever made." Though Cook once described Jobs as "irreplaceable," Apple would soon call on him to do just that. Cook went on to overhaul Apple's operations, transforming them into a smooth and efficient supply chain. 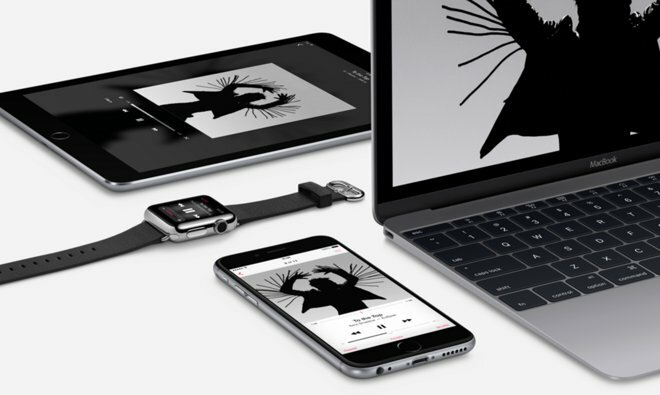 Apple's competitors were left scrambling to match its pricing for revolutionary products such as the iPad and MacBook Air, which benefitted from Cook's operational expertise. Cook tends to keep a low profile, having been described as carrying the "courtly demeanor of a Southern gentleman." That's a contrast from Jobs, who was known for his fiery temper. Cook is also renowned for his work ethic, taking pride for being the first to arrive in the office and the last one out the door. Jobs's return to Apple after a 2009 leave of absence was filled with memorable moments, most notably the debut of the first-generation iPad in January of 2010. He even surprised Wall Street in October of 2010 when he joined one of his company's quarterly earnings conference calls. Such an appearance by Jobs was rare— those duties were typically relegated to (you guessed it) Cook. Jobs was inspired by Apple's first $20 billion quarter, and participated in the call to tout his company's success, while also slamming rivals like BlackBerry and Google. Most memorably, Jobs used the call to suggest that makers of smaller tablets would need to ship sandpaper with their devices, so users could file down their fingers to the point where they could hit smaller targets on the screen. Only a few months later, however, Jobs was once again forced to step down in January of 2011 due to his declining health. Though he retained the title of CEO, Cook once again assumed day-to-day operations, just as he had done in 2009. While it wasn't immediately apparent to everyone, Jobs and Apple were clearly grooming Cook to become the full-time, official CEO. But the transition wouldn't be final until later that year. 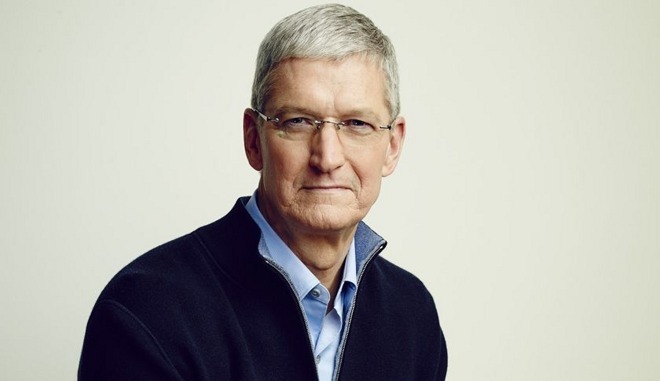 Having essentially served as CEO for the past 8-plus months, and having taken a much more prominent role at the company since Jobs's health issues began years prior, Cook was officially named Apple's chief executive officer on Aug. 24, 2011. In a statement delivered that evening, Jobs announced he was no longer fit to serve as his company's CEO. Jobs, unsurprisingly, recommended that Cook be named CEO. The Apple Board of Directors agreed unanimously. "The board has complete confidence that Tim is the right person to be our next CEO," Art Levinson, chairman of Genentech, said on that date. "Tim's 13 years of service to Apple have been marked by outstanding performance, and he has demonstrated remarkable talent and sound judgment in everything he does." By that point, Cook's prominence in the public, in the tech sector and among investors had grown. He was widely regarded as an operational genius and a key player in the tremendous growth of the iPhone lineup since the blockbuster product debuted in 2007. Though Cook lacks Jobs's charisma and stage presence, at the time he was seen as someone who could keep the company's momentum going for years. Few, however, could have predicted just how successful he would prove to be. During his first five years, Cook's success has largely hinged on the iPhone. But his company has debuted new form factors and new product categories, and chosen to go in bold new directions, under his watchful eye. While he doesn't have Jobs's showmanship, Cook still inspires customers to open their wallets. His success has been rewarded —Wednesday's five-year milestone earned him nearly a million shares of AAPL, currently worth over $100 million. He'll receive another 280,000 restricted stock units every year until 2021, at which point his 10-year anniversary would also net him an additional 700,000 vested shares. Five year's into Cook's official stint as CEO, that October 2010 call where Jobs celebrated Apple's first $20 billion quarter seems almost quaint. Since taking over as chief executive, Cook has blown away those numbers. In fact, Apple earned nearly four times that amount— a whopping $75.9 billion in revenue— in its biggest quarter ever last holiday shopping season. "As most of you know," Jobs said on that famous 2010 call, "I don't usually participate in earnings calls, since you're all in such capable hands." 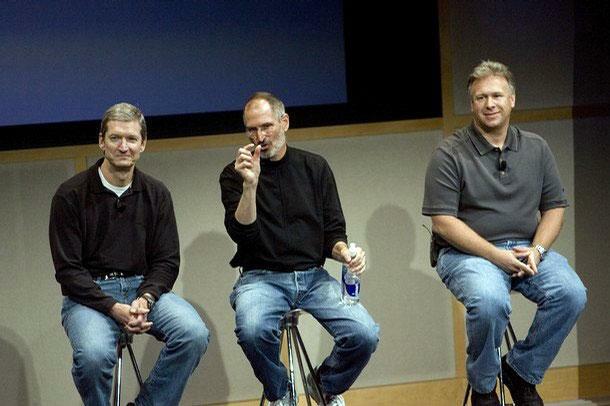 As it turned out, Jobs had already placed Apple itself in quite capable hands as well.